This post is certainly over due and although it has taken a long time to get it up. I have enjoyed the time where there wasn't any posts to write. We've been on holiday, enjoyed some family time, D started nursery (pre-school) and I've done so much over the last month and a half! I've read about 15-18 books and managed to give every corner in the house a deep clean. So now back to the actual post. 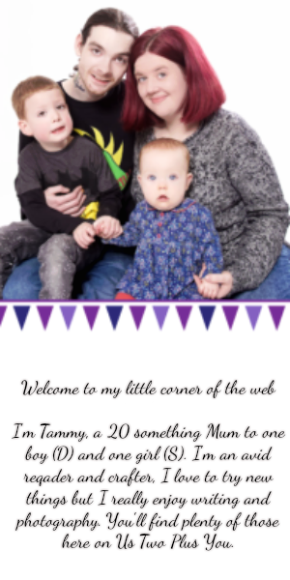 When it came to entering competitions in July I found I was stuck in a bit of a vicious circle. I wanted to take a step back and spend time with Simon and D, read some books and blog. I've been doing a good bit of extra behind the scenes work for the blog and extra time was more for family and I even had some me time! However I found that in the back of my head I was thinking about how many comps I was missing out on! In the end I stopped all together for a few days and then only entered here and there when I had some time without anything else needing done and I realised that I have very little free time. Which I spent the middle of the month working on. By the end of the month I realised I really needed to get a move on with our holiday packing. The month just flew in and I had a bad month for wins. 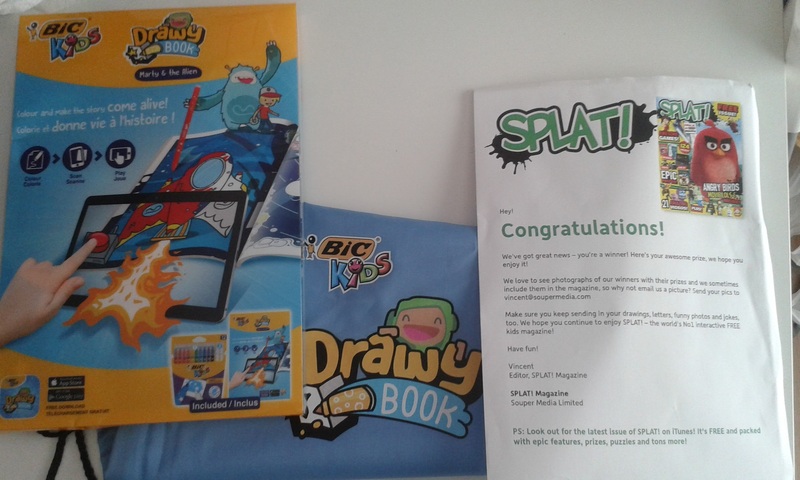 I won this in a children's magazine which I had emailed with D's details to win. It just showed up in the post one morning. This Drawy book is fantastic and I have put it away for D to use once he gets older. I love that he will be able to make the book come alive using the app and it is such a great idea! I also won a £25 Amazon voucher by taking part in a twitter party which was held by AirSideAndy on Twitter. 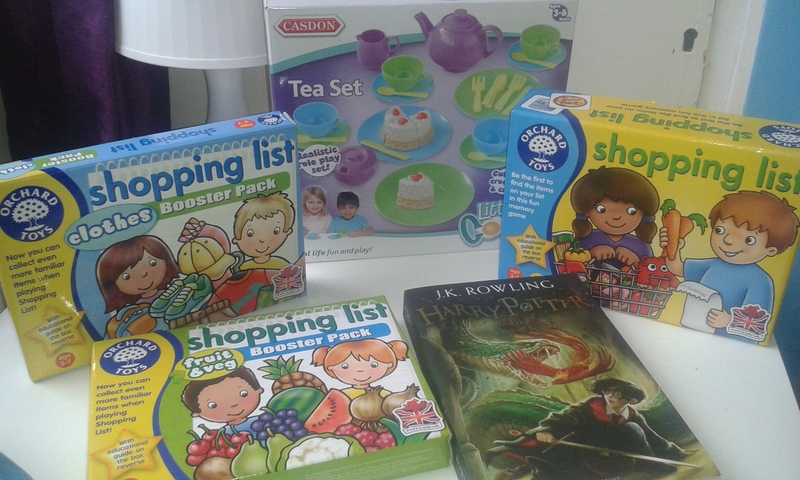 With the voucher I bought the Orchard toys Shopping List game and Booster packs, Casdon Tea Set and I also got Harry Potter and The Chamber Of Secrets for D. I have put the booster packs and the tea set away for Christmas but D got the Shopping list game to play with and we have read the Harry Potter book. August was completely different and I managed to get a few more wins in before the month ended. I can't say that I entered more competitions than normal over the whole month but from the middle of the month after we got back from holiday I did find that I was enjoying comping again and I was determined to win at least 4 prizes after my bad few months. My first win of August was on twitter from Rebecca Varley. I was at my mum's when I got the notification that I had won this. I was delighted! 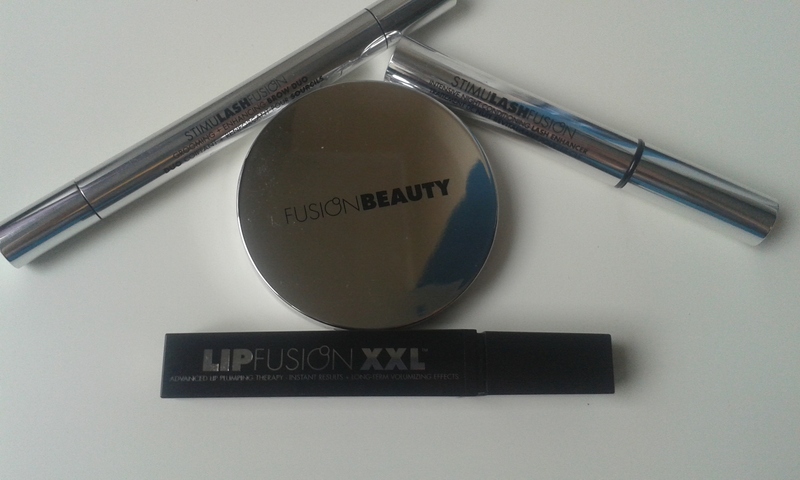 I won a wonderful set of Fusion Beauty make up by following and retweeting. It's not often that I win make up and I have recently got back into wearing make up most days and this set has been a treat for me that I would never have bought myself. My second win of August was from a twitch channel. Simon watches a guy called MachineXSnake on twitch and he was having a giveaway the first night I watched his stream on my own account. I was chosen as the winner and won a £20 xbox voucher which I used to buy D the Once Upon A Monster game for the xbox as he loves Elmo! Next up is another magazine competition which I entered for D. I sent of the entry form and got a letter in the post to say he had won a Thomas the Tank Engine set a few days before it arrived in the post. 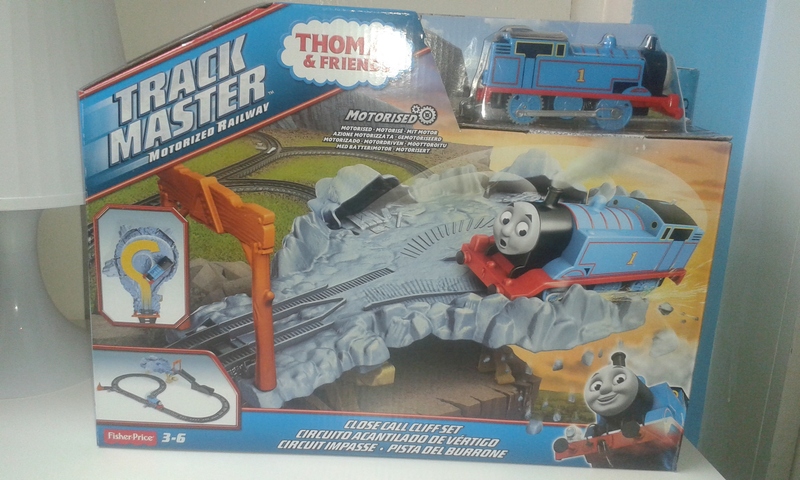 I am delighted with this win as I have had a train set on my wish list for over a year now and I know D will love it!. I will be putting this away for Christmas. I also had another twitter win. I entered this by retweeeting and following RTÉ Guide. 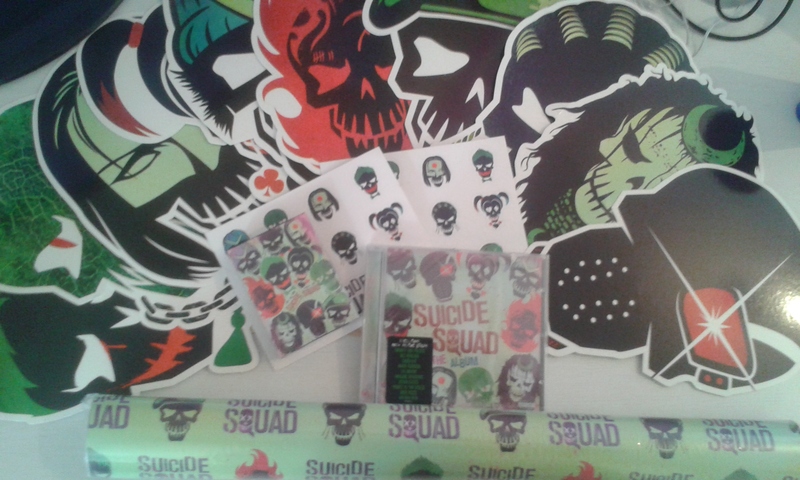 I won this bundle including, playing cards, wrapping paper, soundtrack to the film and some faces from the film Suicide Squad. I went to see Suicide Squad while on holiday with my sister and I must say I loved it! Although the face symbols on sticks are unusual I plan on attaching them to the wall near Simon's deck where he games and the few extra's will probably go in my bed room somewhere. Finally I won a 3 month trial for the Kidloland app which D is really enjoying. I won this from Mum Under Measure. This was a gleam competition with steps to complete for entries. So far September has been an okay month but I am hoping that the last week or so works out for me with comping. I'm looking forward to getting more engaged in comping now that autumn has come around and the weather is getting worse. Have you had any wins this month?